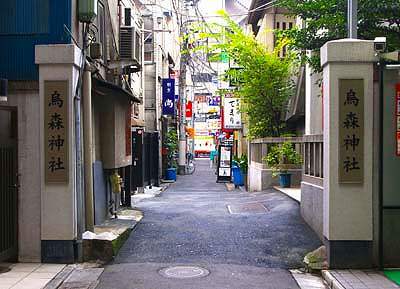 Most employees in Japan like to take a break time after work drinking with their colleagues in a sake-bar along the way home. 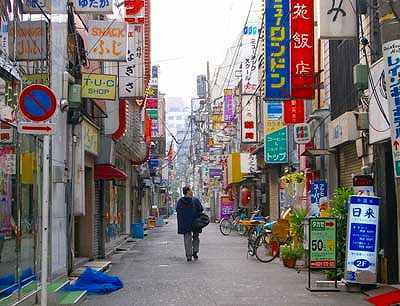 Ordinary employees enter into their favorite drink shops no less than once or twice a week. So the drink business is a big business. 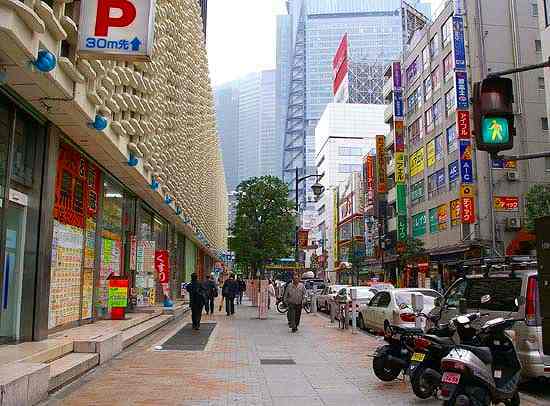 Therefore where offices or factories are with many employees, there are drink shops for them. 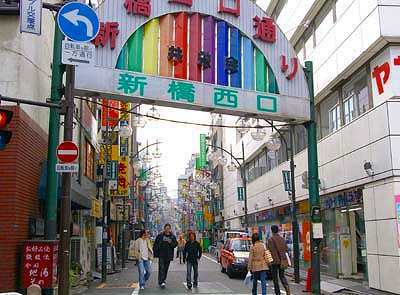 Shinbashi is one of the biggest scaled drink shop town in Tokyo. 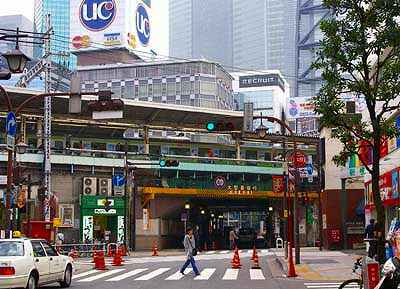 The vast office zone spreads around Shinbashi station and tens of thousand office workers use the station on the way to or from their offices. So it might be natural that many drink shops are located around the station. 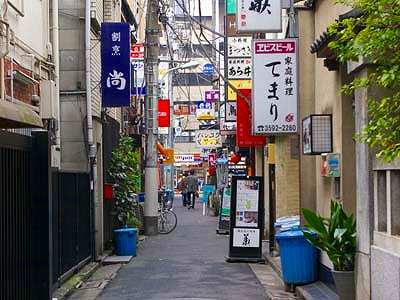 Most drink shops here are not expensive and full of comfortable atmosphere. People can forget all of unpleasant stuff and absorb in drinking and chatting. You might call it Drinkers’ Paradise. A SL car is displayed in front of Shinbhashi station. 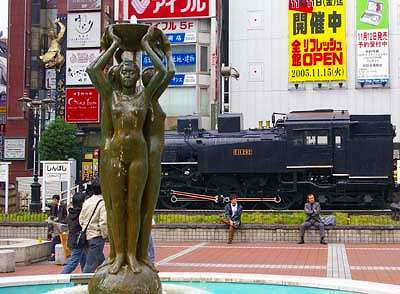 Shinbashi was the first railway station from which the first train in Japanese history departed. and an enormous number of drink bars stand in a row along the way. 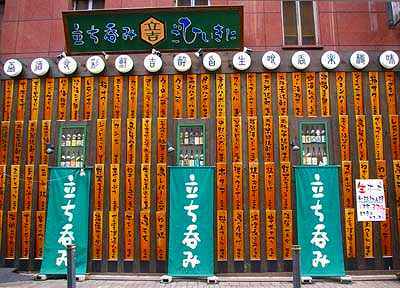 It is Japanese scenery that a shrine is surrounded by drink bars. 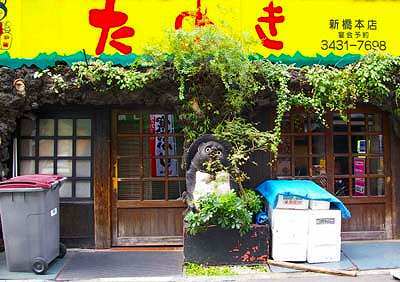 The image of a raccoon dog is the symbol of the prosperity of this drink shop. The name of this shop is Tanuki that means a raccoon dog.